Go big or go home! Big hair has vamped its way to greater heights since the 60’s – from massively outlandish afros to sultry bedhead tresses. Who can forget about Rachel Welch voluminous tresses, Pan Grier’s foxy fro or Jackie Kennedy Onassis’ flipped-out gigantic bob? Thinking of getting your mane untamed? 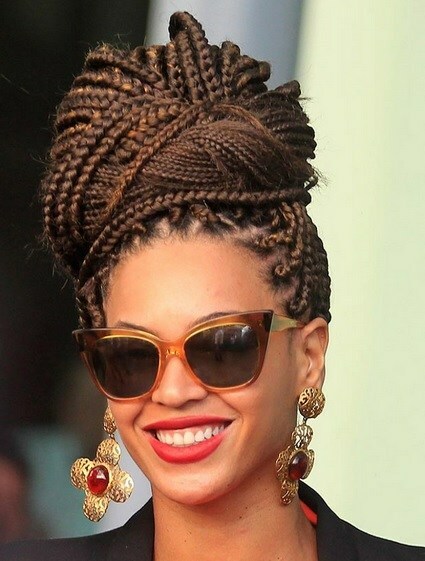 Get inspired with our list of hair-raising big hairstyles now! Feed your hair. Nurture it with those special products you hesitate to put on your..
Feed your hair. Nurture it with those special products you hesitate to put on your shopping list. Your long hair will return it to you with sparkling glow when you decide for these discreet mermaid waves Kim Kardashian is wearing. Frontal and crown part are swept to the top and back. Use hairspray to set them to place and bobby pins if necessary. A decorous front and chaotic back – loving the play of contrast at the 2014 Fall N..
A decorous front and chaotic back – loving the play of contrast at the 2014 Fall Noon by Noor runway! It’s a very refreshing and interesting twist to a classic ponytail. Brush your hair into a sleek ponytail before curling the ends. Backcomb the tail then mist with a hairspray to maintain the look. Muss it up good to achieve the volume needed. We wonder who else can pull off an out-of-bed-with-a-touch-of-cuteness hairstyle..
Comb the top a bit to make it smooth before clipping the barrette low. 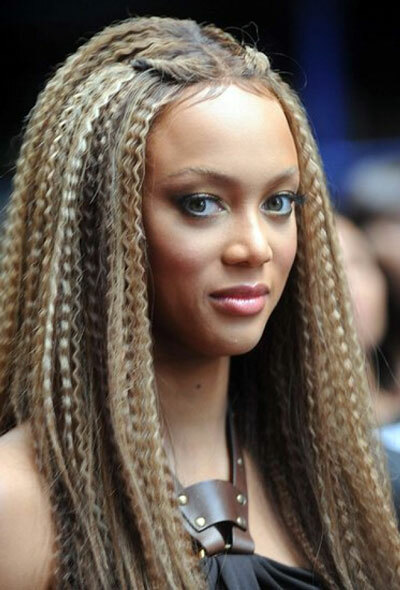 Tyra Banks just gave us a little 80’s flashback with her completely crimped (from..
Tyra Banks just gave us a little 80’s flashback with her completely crimped (from roots to ends) hairstyle! 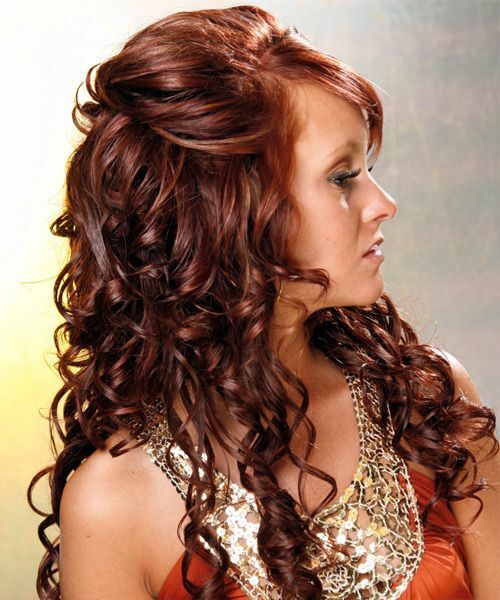 If you feel like adding a dynamic texture but are too bored of the usual curls, try the crimp! Try a not-so-dated version of this by crimping just a few thin sections or one section (bangs, for example) of your tresses. Think of going into the wild (hairstyle-wise, that is)? Why not copy Fearne Cott.. 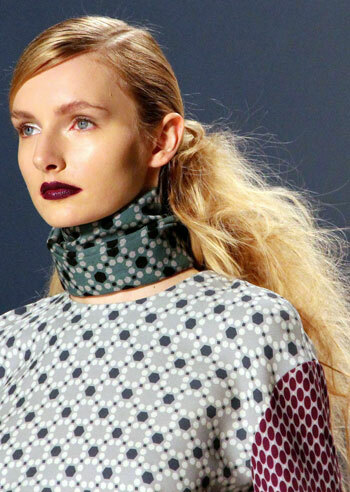 Think of going into the wild (hairstyle-wise, that is)? Why not copy Fearne Cotton’s messy voluminous hairstyle! Fearne combined two textures – crimped and curly – making her coif eccentrically refreshing! Your hairstyle essential for this one is undoubtedly a good heat-resistant spray. It will protect your strands from getting fried and will hold the dents beautifully as well.